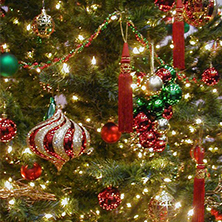 Evergreen Environmentals specializes in beautiful living walls for your home or business. 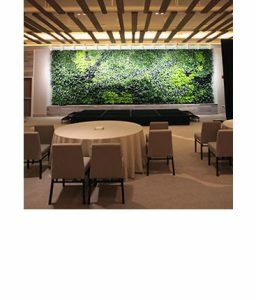 Also known as green walls or vertical gardens, these living wall systems consist of modular panels that can be attached to the exterior of a building, interior walls, fences, or virtually any vertical structure. From small indoor projects to entire exterior building facades, our experienced living wall company can provide your space with a eco-friendly green wall tailored to your needs. Nothing adds more eye-catching spark to a project than a living wall. Lush foliage and a myriad of textures provide a dramatic setting for any location. 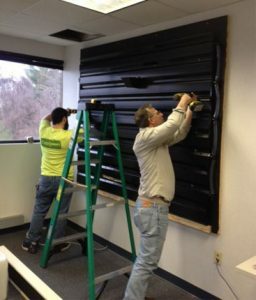 Evergreen Environments is a pioneer in living wall installation. 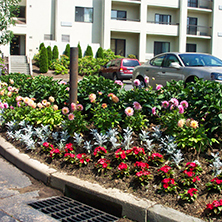 We installed the first living wall system in Connecticut over 15 years ago, long before most other companies had even heard of living walls. 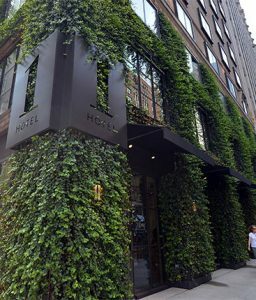 That living wall is still alive and functioning today. From small indoor living wall projects to entire outdoor building facades, chances are that Evergreen Environments has completed a project similar in scope. 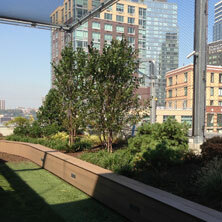 Evergreen installs a full range of systems to fit virtually any environment or microclimate. 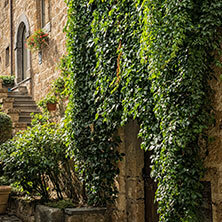 A living wall needs to be maintained in order to retain its beauty. 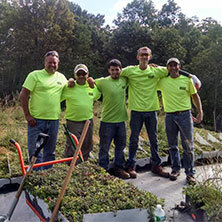 Evergreen follows up its first class installations with a comprehensive maintenance program for living walls. 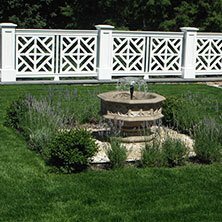 We are truly your best solution when it comes to vertical garden design, inside or out!